Readers, be warned: this is one of those geeky posts of mine. I basically put these up to remind myself how I did something. One thing I’ve noticed is that I tend to be much more intentional about reading what shows up on my computer screen than I am in reading a physical book. Everything I want to read (almost) can be found at my fingertips through the internet. Now, like some of you, I have tweaked the settings in my browser so that the tabs to which I always need access are set to open as default. And I thought how neat it would be to create a script that would take my daily bible readings, and put them into a webpage so that I would read the text as I start my day. To insert the text according to my preferred reading plan (by Grant Horner, found here). To set up a web page for each day of the year with that day’s readings. To serve each day’s webpage to my browser. To set up the text the way I wanted, I wrote a script using the excellent tool “diatheke”. It’s a command-line tool that comes with my bible program (Xiphos, in case anyone is wondering). Diatheke allows me to search and select Bibles for verses (or topics, or phrases), and use the results of that search in lots of interesting ways. I won’t show you the whole script, but I will show you a line of the file, and explain what it does. “diatheke” is the name of the program. “-b ESV” selects the version to read. “-f HTML” selects the format that will create a webpage. “-k Matthew 1, Genesis 1, etc.” selects each chapter of each book I want to read. And finally “> biblechapter1.html” puts all of the gathered information into a single webpage (called biblechapter1.html”). The script does this 365 times, with the different chapters that I want. After running it, I now have 365 little webpages with just the text of Scripture for that day of the year. INSERT EDIT: After having used this for a few days, I noticed that the version of diatheke has an annoying little bug in it: it appends the last verse of whatever the search terms as an extra line. I wanted to get rid of this extra appendage, and I used the following command to do it. “sed” is the Stream EDitor program on most Linux systems, and with the input -i, the specific command s/ switches every line that starts with a colon and a space ^: , no matter what comes behind it . * with an HTML carriage break <br>, and does so globally /g for every file that starts with the name biblechapter, and ends with .html. //How will the IFRAME be displayed? Once that was working, I simply had to tell my browser (Chrome) to open three tabs every time it started: my calendar, my email, and my Bible reading for the day. Well, that’s what works for me. Are you using some kind of system or specific discipline to keep you in the Word… and the Word in you? 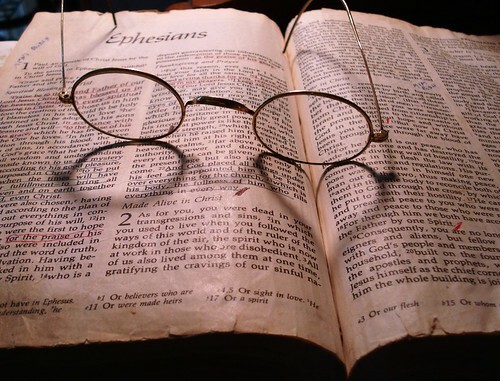 I thought it was really insightful – we read the Bible… and the Bible reads us. I’m going to want to use this in a sermon someday, but it doesn’t really fit for anything I’m preaching soon. Because it doesn’t YET fit — but it’s too good to not use — I want to remember that I read it, and my blog is a good spot for these kinds of things. So, I’ll tag this under “sermon fodder” so I’ll know to return to it someday. It will be interesting to see how long this will take before it’s used. Hopefully, I’ll remember to update this post whenever I use this quote. Hello, readers. 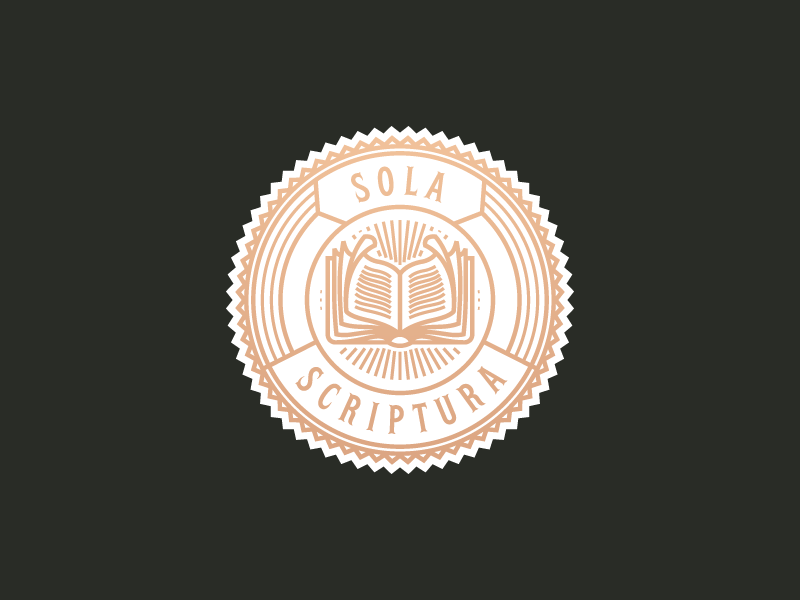 Before any of you get up in arms about the title of this post, relax, take a deep breath, and read on if you’re interested in inserting Scripture into documents, because that’s all this post is about. The church I serve recently got a new laptop for my use (yay, thank you trustees! ), and while it already had Windows 8 pre-installed, I carved out some space on the hard drive, and installed Linux, because that’s what I actually use. 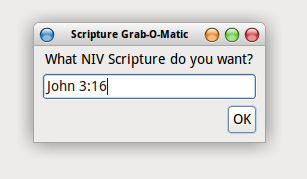 What I want to do is insert Scriptures into my text documents. How I’ve ended up doing this is by using a couple of tools, and chaining them together. This is done on an Ubuntu Linux system – your milage may vary. Frankly, I’m writing this post so that if I ever have to do this again, I won’t have to do it from scratch. Again. diatheke – a command-line tool that uses the Crosswire Bible libraries. All of my Linux Bible programs are in this format, so this is what I use. gtkdialog – a neat little tool that allows me to make fancy GUI front ends for scripts. xclip – this command-line program allows me to specifically insert things from the command-line into the clipboard for use in GUI programs. Select the Bible references you want to use in your document. Tell the bible retrieval program (diatheke) which verses you want. Capture the results from the retrieval program in the clipboard. Paste the contents of the clipboard into your document. If this seems a *lot* like ZipScript from the old WordSearch programs, you’ll know where I got the idea! Here’s the actual script itself. UPDATE: in the middle of the action tag, there’s a couple of extra sed entries. These are placed here because diatheke keeps repeating the last line of whatever verses were requested. These sed commands remove the extra data, and the version label. I don’t know if this will help anyone but me, but it’s a handy little script. And here’s the code snippet that is inserted into Libreoffice. This simply calls a bash script to run. I made my script listed above executable, put it in my /usr/local/bin/ directory (where I put all my local stuff), and when I run the macro in Libreoffice, the bash script is launched.